Pulitzer Prize Winner: An American in Germany fights against the rising tide of Nazi terror in this monumental saga of twentieth-century world history. In the wake of the 1929 stock market crash, Lanny Budd’s financial acumen and his marriage into great wealth enable him to continue the lifestyle he has always enjoyed. But the devastation the collapse has wrought on ordinary citizens has only strengthened Lanny’s socialist ideals—much to the chagrin of his heiress wife, Irma, a confirmed capitalist. In Germany to visit relatives, Lanny encounters a disturbing atmosphere of hatred and jingoism. His concern over the growing popularity of the Nazi Party escalates when he meets Adolf Hitler, the group’s fanatical leader, and the members of his inner circle. But Lanny’s gravest fear is the threat a national socialist government poses to the German Jewish family of Hansi, the musician husband of Lanny’s sister, Bess—a threat that will impel the international art dealer to risk his wealth, his future, even his life in a courageous attempt to rescue his loved ones from a terrible fate. 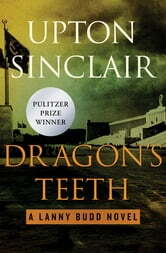 Winner of the 1943 Pulitzer Prize for Fiction, Dragon’s Teeth brilliantly captures the nightmarish march toward the Second World War. 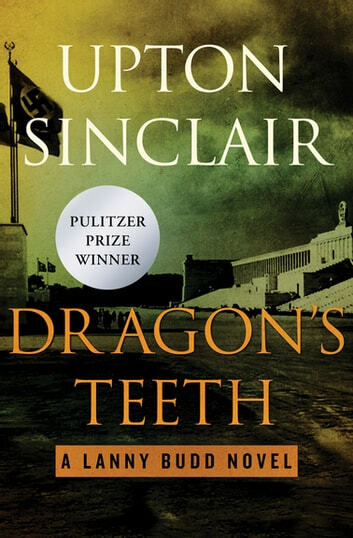 An astonishing mix of history, adventure, and romance, the Lanny Budd Novels are a testament to the breathtaking scope of Upton Sinclair’s vision and his singular talents as a storyteller.